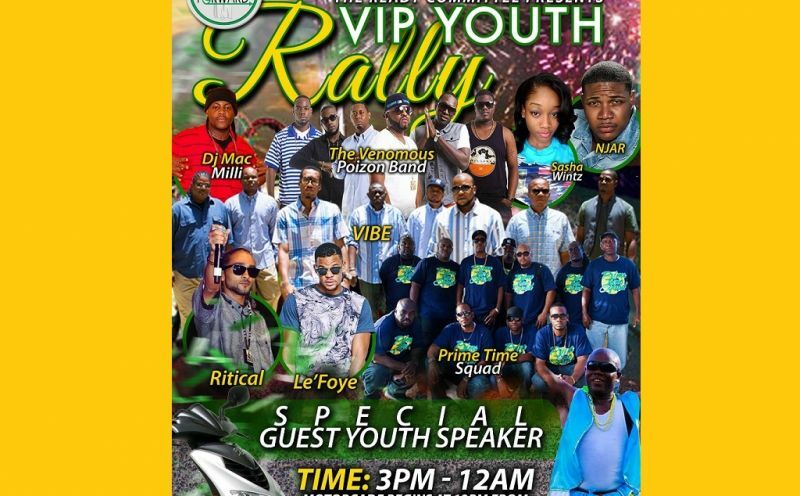 The Ready Committee will be spearheading the biggest Youth Rally of the political season this Saturday June 6, 2015 at the Festival Grounds in Road Town on the main Island of Tortola. “It’s basically about the Virgin Islands Party reaching out to the youth of the BVI, telling them what are their plans for the future of the BVI and getting involved in some of the plans as the candidates will be mingling with the crowd. 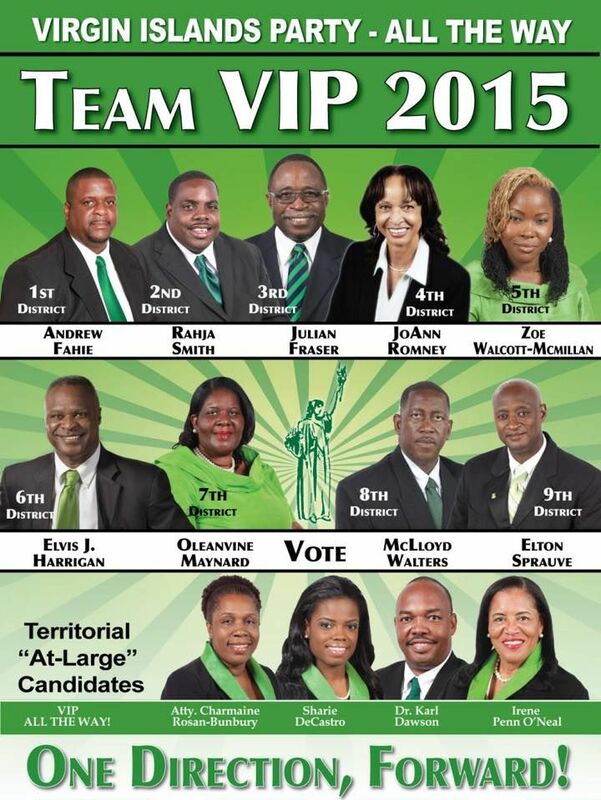 “I would encourage everyone to come out and hear what the guest speaker and the candidates have to say, and what the Virgin Islands Party has to say for the youth,” Secretary of the Ready Committee, Sharlene S. David told Virgin Islands News Online. Prior to the youth rally, which kicks off at 3pm and ends at 12 midnight, there will be the VIP grand motorcade. Cars are asked to be lined up from 11:30am at the Road Town Festival Grounds, as the motorcade kicks off at 12:00 noon to West End, over the hills, towards East End, then back to the Festival Grounds. Acting President of the VIP Youth Group Mr. Kevon S. Lettsome said, via a press release, that this will be a fun day for everyone and there will also be a variety of music. Lettsome, who took over from Second District candidate Rajah A. Smith last month, is predicting a huge turnout as the youth of the Virgin Islands (VI) will have yet another chance to meet and greet the VIP's 13 candidates at the youth rally. There will be a raffle of a brand new scooter with helmet, along with a 32 inch TV. Raffle tickets are on sale and can be obtained from any member of the Ready Committee or the VIP candidates. The day’s event also includes a host of local acts including Le’Foye, VIBE, DJ Mac Milli, and Sasha Wintz among others. Food and drinks will be on sale, as well as a variety of activities for the whole family. 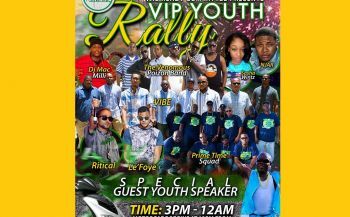 “The Youths of the Virgin Islands have been the driving force behind the new Virgin Islands Party and they look forward to all coming out to this youth rally as come election day on June 8, 2015 the goal is to move the VI in One Direction; Forward,” the press release from the Ready Committee stated. I will be there to see for myself. The Poll will talk on June8th. Cars don't vote. People do. We know cars cannot vote ,but the drivers and Passengers can. we don't need all that this is really wasting money just reach out to the youths, these functions will only cause problems / fights. Dont look so massive to me. However, some years ago, the party with the biggest motorcade this country did see actually lost the election so you never know..
Can we say it's a flop? Lol Lol Lol Lol Lol VIP Rally Massive LOL LOL Massive space you mean. A almost free scooter for raffle will draw a crowd. LOL! Flop. Do they even understand what a youth rally is? The reason why it looks so massive is because everybody and them grandmother have a vehicles and because of the entertainment. Nice event the youth are wid vip ndp must go!